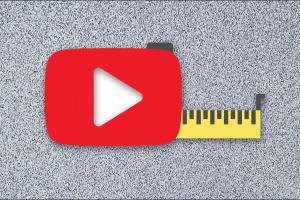 YouTube, like other parts of Alphabet Inc.'s Google, uses these corporate metrics as goal posts for most business and technical decisions — how it pays staff and creates critical software like its recommendation system. But the company has yet to settle on how the “quality watch time” metric works, or communicate how the new measure will impact millions of “creators” who upload videos to the site. The two new metrics — tracking total time on site and “quality watch time” — influence a lot more than just YouTube recommendations, according to the people familiar with the plans, who asked not to be identified because the matter was private. The measurements also help dictate how YouTube surfaces videos in search results, runs ads and pays the creators who make videos. And the software YouTube uses to analyze these new metrics may not be good enough — despite Google’s prowess in artificial intelligence techniques such as computer vision and natural language processing. AI systems have not progressed enough to identify the intent of a video based on footage alone, said Reza Zadeh of Matroid, a company that sells software for analyzing video.